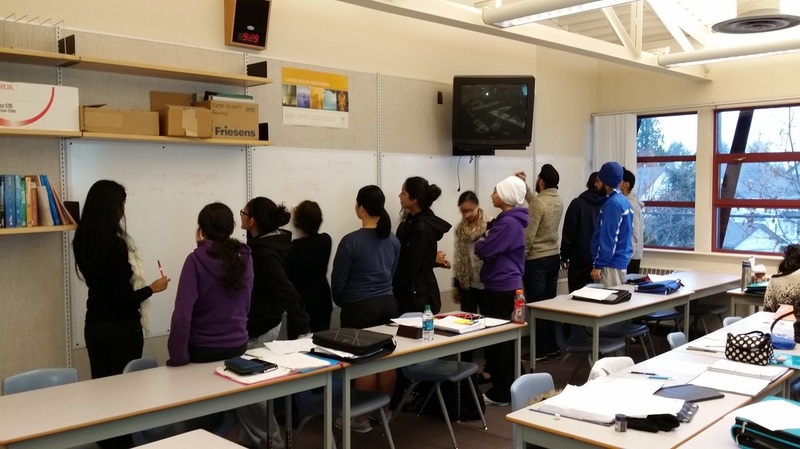 Vertical Non-Permanent Learning Surfaces - Welcome to TaMATHawis! ...and the wisdom to know the difference. 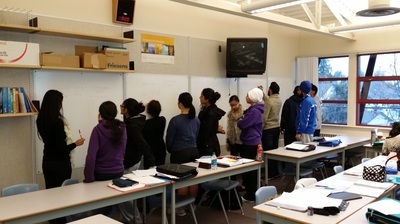 VNPLS are simply students doing their work on whiteboards, that have been mounted on the classroom walls, instead of at their desks. This idea was originally conceptualised by Peter Liljedahl, a renowned professor at SFU. Improve engagement and enthusiasm for math. 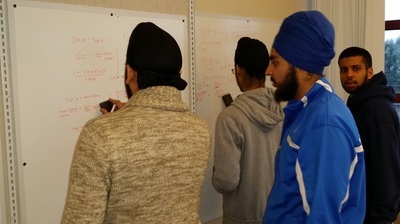 Increase communication amongst the students by facilitating the transfer of knowledge within student groups, and within the whole classroom, by creating a collaborative environment. Decrease the fear of making mistakes through the non-permanency of the writing surface, thereby increasing the willingness of students to take risks. Encourage struggling learners to collaborate and learn from their peers (no more hiding at their desk). Allow more opportunities for formative assessment. 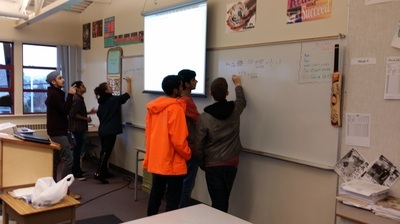 Students working on evaluating limits algebraically. 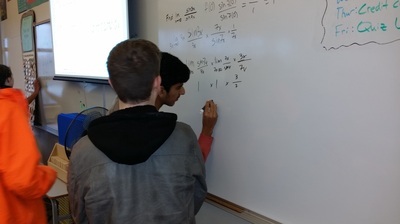 What excites me most is the dramatic change in students' energy, enthusiasm, collaboration, and the amount of "math talk" that is happening when they are at the boards, compared to when they are sitting at their desks! !